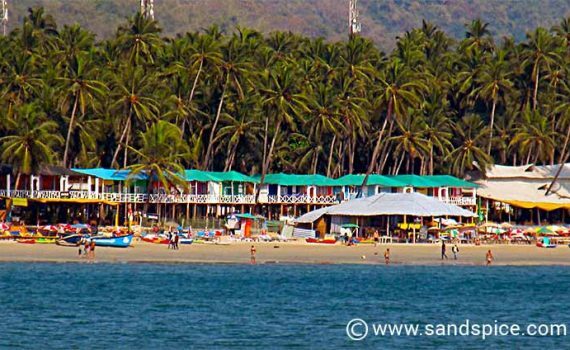 Palolem beach guesthouses: Where's best to stay in South Goa, India? It was through circumstances rather than planning that we ended up spending around 10 days in a variety of Palolem beach guesthouses. Cancelled trains and poor or overbooked guesthouses meant we had to change our itinerary on the fly. However, this all turned out for the best, since Palolem is a pretty good place to spend some extra time. The vast majority of cabins belonging to the Palolem beach guesthouses are located just behind the resort fronts, so are not actually on the beach and have no sea view or sea breeze. They typically ask 1,500 rupees (€20) for one of these cabins. 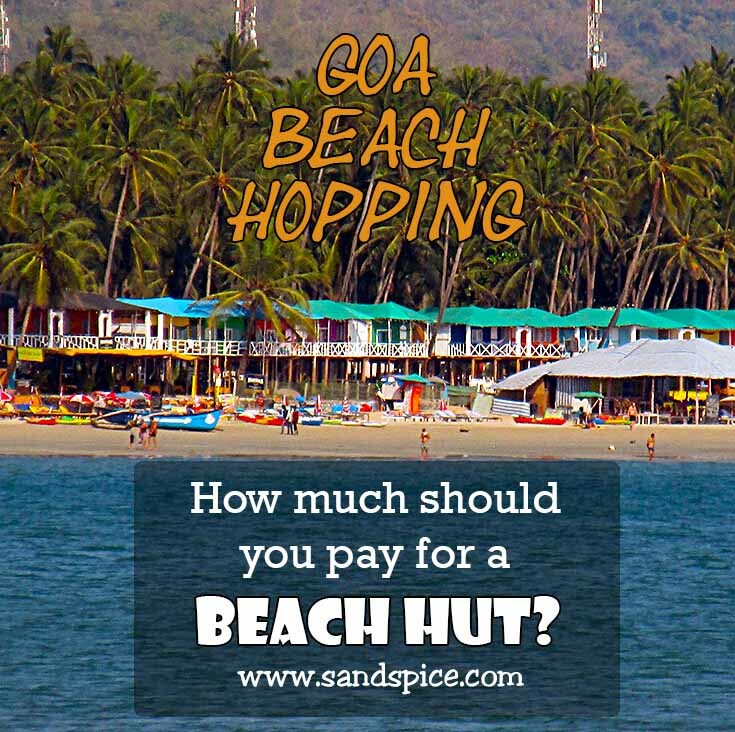 For a cabin on the beach with seaview they will typically ask for 2,000 to 3,000 rupees (€18–27). However, with good timing and negotiation skills, these can occasionally be had for 1,800 rupees. An interesting fact about these and most of the other Palolem beach guesthouses is that they are all temporary seasonal structures. At the end of the 6-month season, they are completely dismantled: restaurant, cabins and all. This is a government requirement, and a way of avoiding the potentially disastrous monsoon season. Nevertheless, it takes around 1 month to disassemble everything, and another 2 months to re-assemble at the start of the next season. All the individual wooden planks and uprights are re-used year-after-year. In the cabins, you’ll notice numbers on each plank indicating where it belongs in the overall plan. For these tasks, the resort owners hire contractors who are not too careful how they handle the building materials. This results in numerous breakages and damage. Taking these factors into account, its understandable that the owners really need to make their money each day of the season that they are open for business. Negotiating a price for a room is expected, but its important to do this with good humour, and not to mercilessly undercut the asking price. This was the first guesthouse we accepted after our arrival at Palolem beach. It seemed a bit basic, but would do for one night whilst we got our bearings. We paid 800 rupees for one of several cabins located in a pleasant garden setting behind the resort. Our cabin had a large tree growing through the middle of the room (not uncommon in South Goa – they build these temporary structures around nature’s existing infrastructure). There was a nail in the tree which provided the only available hanging/storage space. Of the two taps in the bathroom, one didn’t work and the other dripped constantly. Since we couldn’t unpack our backs, this place wasn’t suitable for more than just the one night. Apart from a small table – and the floor – there was no place to actually put anything. The food at Abel Cressida was good and reasonably priced. You can also organize boat trip from here to various destinations including Monkey Island and Butterfly Beach. At Brendan’s, we paid 1,800 rupees (€25) per night for an AC beach cabin (reduced from 3,000 after much negotiation). The cabin was up some steep stairs on the first landing, with peripheral sea view. Following our first night at Abel Cressida, this cabin at Brendan’s was relative luxury: We even had a tv and fridge! We didn’t use the tv, but the fridge was a real bonus. This place was clean and practical, with a decent bed and mosquito net. The only complaint we had was that it was situated directly above the kitchen preparation area. We could actually see them peeling potatoes through the wide gaps in the numbered floorboards. Every evening between 10pm and midnight there rose a cacophany of noise as the staff cleaned the dishes for the night whilst loudly arguing with each other in high-pitched voices. Having said that, the food and drink here was very good and reasonably priced. As with the other places we stayed, they provided free use of beach beds and towels. They also offered free wifi, but the performance was excrusiatingly slow and erratic, punctuated by frequent power cuts. They tended to show sports programs here on a big screen in the evenings (Indian cricket – popular with the locals – and some European football). Great if you’re a sports fan: not so much if you just want to relax with some chillout music. We stayed at Brendan's Guesthouse for 2 nights, and made good use of the fridge to store and prepare G&Ts with fresh limes. Our cabin included a cosy and private balcony area to relax. Neptune Point was the one place in Palolem that we had booked in advance. We stayed at Neptune Point for 3 nights. The food and service here was good. We could have moved to one of their detached cabins, but for these they were asking 3,000 rupees – and not even sea-front. This was the 4th and last place we stayed at Palolem beach. We managed to get one of the elevated first-floor sea-front cabins for 1,900 rupees per night (€27). For this price, we had to agree to 4 nights, but that was fine by us. Our cabin had plenty of fresh sea breeze, and was equipped with a decent-sized (if lumpy) double bed and net. There were storage cupboards and a good-sized bathroom with a powerful hot & cold shower. The best feature was the large balcony with hammocks, and the fabulous views to both ends of the beach from this very central and elevated location. Cabins behind the resort were available for 1,500 rupees. The attached restaurant at the Havana Cuba served the usual variety of Goan dishes at reasonable prices. The place is also equipped with 6 CCTV cameras and monitors, with security guards present 24/7. 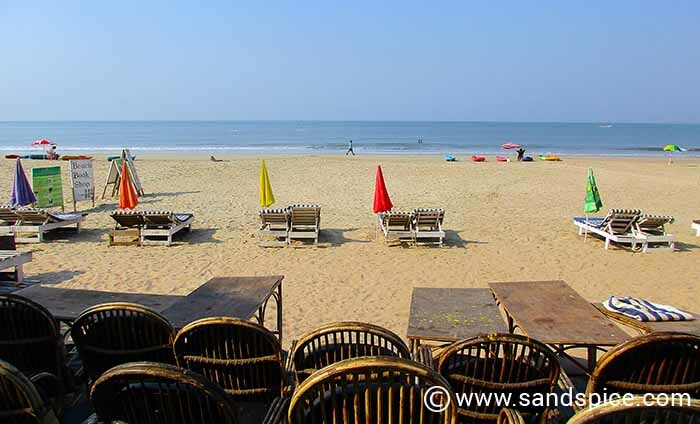 As with most of the resorts at Palolem, beach beds, towels and umbrellas are provided free of charge to guests. Wifi is available, but reception is dodgy at best. Just a few minutes away behind the beach you can find a couple of Internet cafes if you really need them (30 rupees per half hour). After 10 days enjoying our Palolem beach guesthouses, and particularly the last 4 days at Havana Cuba, we were sorry to leave. 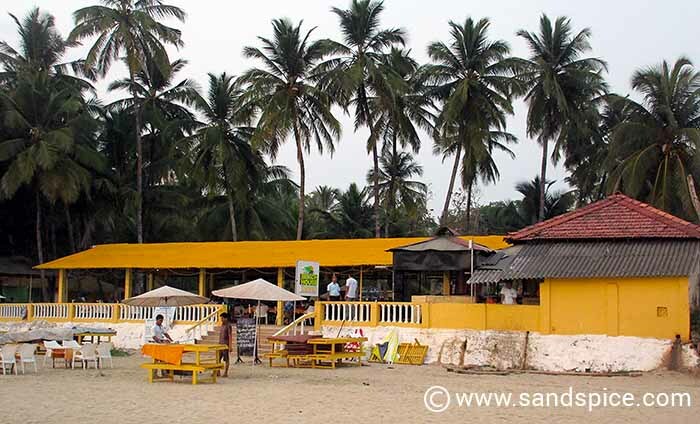 This part of South Goa offers the sort of relaxed lifestyle that is very easy to adopt. Our next destination would present us with the polar opposite of Palolem beach: We were about to embrace the frenzied metropolis that is Mumbai.